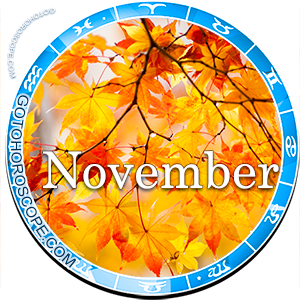 November 2014 Horoscope Capricorn, free Monthly Horoscope for November 2014 and Capricorn Astrology Forecast for the month ahead. 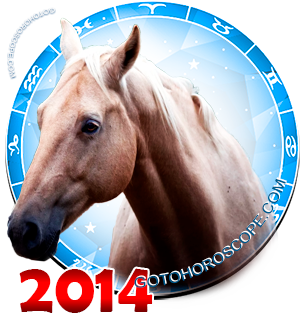 The House of Capricorn may be confident not only in itself, but also in the world around it in November 2014. The current period will be such a life stage for the representatives of this zodiac constellation, when circumstances will practically form themselves based exclusively on the wishes of the Capricorns themselves. No matter how strange that sounds, the situation will be exactly that. Of course, you will have to face some negative moments, but they will be connected with the personal mistakes of Capricorns in their past. In the forecasted period, the will of the House of Capricorn will be a defining factor for its dynamic environment. This will mostly occur due to the influence of Saturn and Mars. Saturn, the planet-ruler of the House of Capricorn, will be significantly strengthened due to its participation in one of the two most powerful interstellar combinations. At the same time, Mars - the planet-exalt of the Capricorn, will also be a part of a powerful positive combination. As a result, the combined influence of these planets will be truly unprecedented. Evidently, this is in a positive light. Of course, you should consider Jupiter, responsible for the "fall" of the House of Capricorn, and less the Moon, responsible for its "expulsion". While the influence of the Moon will be easily blocked by the more powerful astral flows, Jupiter may really wreak some havoc. 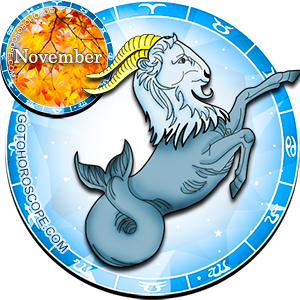 One way or another, the sphere of entrepreneurship will bring the Capricorn a plethora of positive emotions in November 2014. At a minimum, starting from the middle of the first ten-day period, you will be surprised at the pace of your own work. You will be able to accomplish everything at once and everywhere. If you are a leader, then trust that not a single action of your subordinates shall escape your eye. Your success may really reflect on your further career. Therefore, it is necessary to use this chance with maximum productivity and try to fix not only your life. Remember that you and your work environment are a single mechanism, the coherent work of which defines victory. If there is no coherent work, then the situation will not be a simple one, though in either case you should try to unite the people around you. With such allies as Saturn and Mars, this should not be hard. The issue is in the wish, or more precisely - in the motivation. If you do not see a possibility to change anything, then... perhaps you should consider changing your workplace. Seriously. Work that does not bring pleasure is not work - instead it is a problem. Think about that. Also thing about how the situation on the love front has been developing throughout the duration of the past couple of months. If there are visible problems, then November 2014 is the best time for an unambiguous and timely resolution of ambiguous issues. If you do not see hardships, then ask of your lover - perhaps she sees them. Either way, try to be as attentive to yourself and your close ones as possible. During such a positive life stage, when you have more than enough life energy, you may strengthen any relationships, regardless of circumstances. Do not worry if someone does not understand you. All people are different, there will come a time and you will certainly find allies. Currently, concentrate on just understanding your surrounding people. Objective reasons may prevent the adoption of your views, the understanding and realizing of which may help you in your future. Just do not leave space in your soul for doubts. Very insightful! This reading seems to fit right in with what is happing in my life at the moment. It's funny how similar yet realistic it is.. There should be friendships that can help each other in this situation but capricorn a are not Able to find friends.